Black Widow a.k.a Natasha Romanova is an agent of S.H.I.E.L.D. and a member of the Avengers. She was created by Stan Lee, Don Rico, and Don Heck having her appear first in Tales of Suspense No. 52 released in April 1964. In recent years actress Scarlett Johansson has portrayed the character on the big screen in the films: Iron Man 2 (2010), The Avengers (2012), Captain America: The Winter Soldier (2014), Avengers: Age of Ultron (2015), Captain America: Civil War (2016) and Avengers: Infinity War (2018). 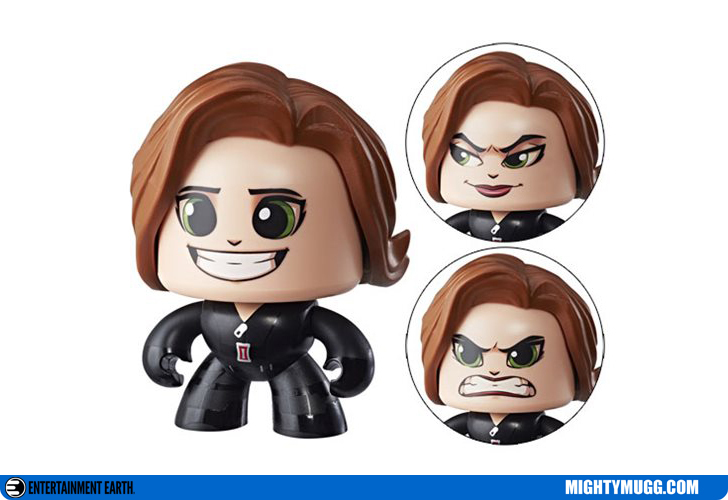 The Mighty Mugg above portrays her in her look from the Marvel film series.